Securing your first contact with a prospect can be tricky. Prospects are often hidden behind unfriendly administrative staff or voicemail, with calls you make unlikely to be returned. While you may struggle to persuade a prospect to take an unsolicited telephone call, a carefully-crafted email arriving in their inbox can catch their eye and win them over. DO separate raw leads from true prospects. A bulk email campaign may be sufficient for contacts culled from tradeshows, social media, and free downloads. True prospects should receive one-to-one attention. DO personalize your email content. Invest ten minutes crafting an opening paragraph that demonstrates your knowledge of the prospect’s company and the problems it faces. Include headshots of your sales team to give your email a friendly, personal feel. DO focus on solutions, not on hard-sell. Sales tactics that are too obvious will have your prospects reaching for the delete button. 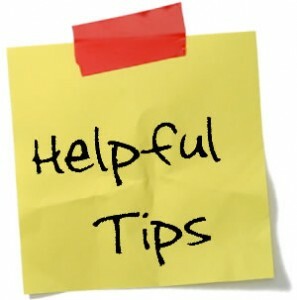 DO take care if you are purchasing lists of prospects from list brokers. Reputable brokers may be more expensive, but their lists are more likely to be up-to-date and based on subscribers who have opted in to receive marketing information. DO follow up your email with a telephone call if you do not receive a response. DO familiarize yourself with the relevant anti-spam legislation. AVOID sales jargon, such as “free trial” or “limited time offer”. It could trigger the recipient’s spam filter. AVOID aspirational selling. Improvements to the future situation are unlikely to be a top priority for your prospect. Focus on addressing immediate risks and problems. AVOID attachments. Recipients are unlikely to open attachments from unknown sources because they may contain a virus. Your email to a prospect is the first step in building a relationship. If it triggers a response, be ready to engage the prospect in further dialogue.